Georgia, a place having plenty of rivers inland and one ocean on one side is not only a beautiful location for natural beauty but also best for kayaking. So, if you are in Georgia, where would you go for kayaking? This is a million dollar question because there are plenty of places where you can visit and have outdoor family time. So are there any place nearer the city of Georgia or all the kayaking spots are far away from the town? Yes, most of the kayaking spots are close to the city so that you can easily visit them and have fun! As the places are near to the city, you can definitely make you trip a combination of exploring the wilderness and the sight-seeing of the historical stuff. It will be a challenge for us if we recommend you one place for kayaking because one place beats another at a marginal rate. From the calm river and the whitewater rapids to the Atlantic coast and intra-coastal waterways, there are numerous amazing spots in Georgia. So, it will be very tough for you to select one place for kayaking and have fun when every location demands attention. But if you intended to visit Georgia and make the most of your outdoor tour there then we can recommend you some specific places that will be better than anything for creating the best kayak days for yours. We will suggest you to go for the waters around the Savannah and the Chattahoochee River. Do you want to explore the area on the water? If you are then you are in the right track. Savannah is an ideal option for as per your desire. This location has gone so much to explore on the water. If you want to paddle towards the Atlantic coast then you can do it from the Savannah River. The best part is the scenario will amuse you throughout the journey if you visit the Atlantic coast from here. Are you fond of fantastic wildlife? If yes then you are going to have much more fun. The area which surrounds the Tybee Island is going to offer you a lot of wildlife. You can enjoy soothing paddling if you want in the salt marshes and the coastal waters. It will provide you guided tours, rentals and kayak instruction if you are up for it. Directly to the right of the Atlanta metro zone, the River Chattahoochee is considered one of the most famous tourist’s spots in Georgia for kayaking. Not only for the visitors, this place is a haven for the locals too. Along the way, you will get so many launch points that have numerous park areas and outfitters. Not only that, but you will also get some specific picnic spots that cover the long stretch of the Chattahoochee River. One of the eye-catching spots in this riverside is the very beautiful Chattahoochee River National Recreation Area and through the river, you will get to paddle around 48 miles. If you do it then you will have to transport the kayak to the river by yourself but some outfitters will also provide most of the equipment that you will require. This equipment also includes a roof-rack. In the Recreational Area, you will also get paddle shack. This will be opened for you on the weekends from the April to September months. Here you can rent kayaks on an hourly basis. This starts at only $25 for the very first hour. Another place in Atlanta for you is Nantahala Outdoor Center where you can easily rent any sit-on-top kayaks along with inflatable kayaks. You can also participate in the tours there. 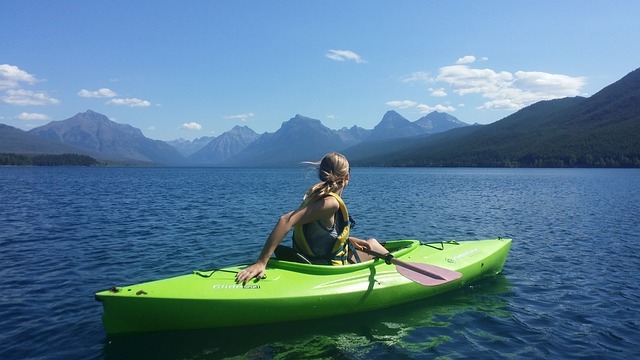 The price of rental kayaks for half a day starts from $34.99 only. If you are up for any whitewater rapids, that is also possible here because the river passes through the state of Columbus. 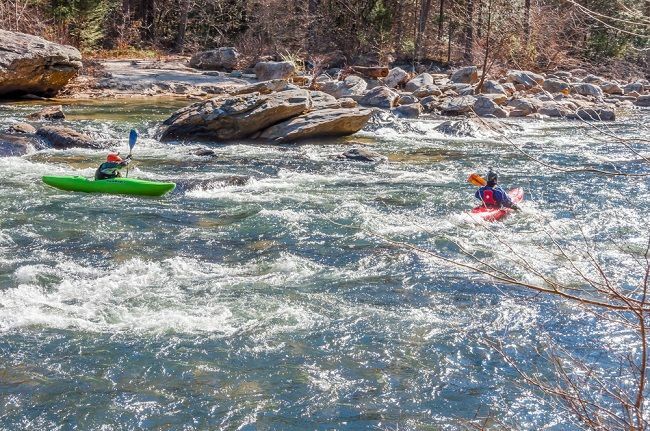 The park named Chattahoochee Whitewater Park will bring kayaking to this city and it also plays the role of a host to the competitions of national freestyle kayaking. 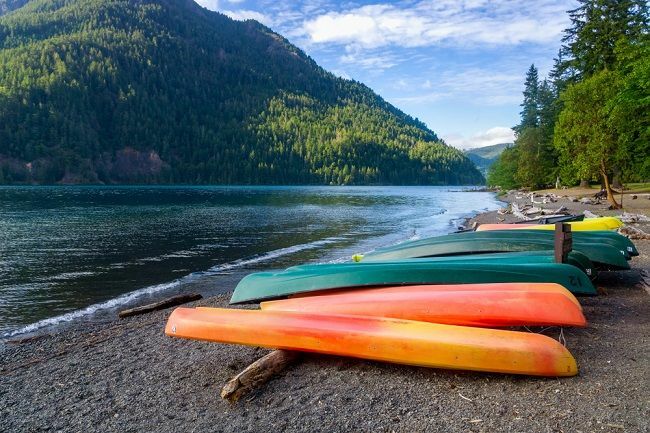 What are the most popular places for Kayaking? Some best places for Kayaking in Georgia are Chattahoochee River (Columbus,) Crooked River State Park (St. Mary’s,) Fort Yargo State Park (Winder,) Toccoa River (Blue Ridge) and Savannah. What are the rules for Georgia Kayaking? Georgia follows PFD law for kayaking there. Without Personal Floatation Device, you cannot go for any kayak tours in Georgia. What are the tips for the beginners while Georgia Kayaking? Beginners should find challenging yet very many manageable rivers to kayak on. To intermediate the rivers of the Southeast, the newbie can go for kayaking in Metro Chattahoochee, Upper Chattahoochee or Cartecay River of Georgia for easy kayaking. Kayaks or Canoes which are less than 12 feet and have no mechanical propulsion do not require any registration in Georgia. Children under the age of 13 must wear USCG approved PFD for ultimate safety. This rule is not a must if your child is staying in a totally enclosed cabin. And if you are an adult then you can skip the life jacket but it will be a better option for you to wear this as your safety is the foremost concern. If your boat needs registration then the number must be clearly visible. So, you can feel that there are a lot of amazing locations in Georgia for kayaking. If you want then you can enjoy various landscapes and water kayaking in this state. If you are up for kayaking in Georgia, we can bet that this will be one of the best trips you can ever get in your entire lifetime. So, get out and enjoy! Because outdoor fun is the real fun!